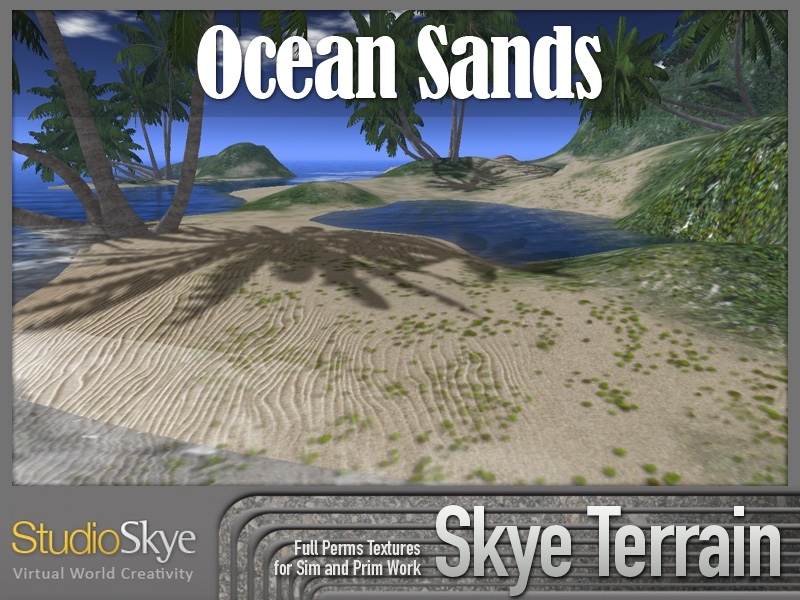 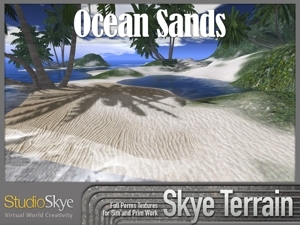 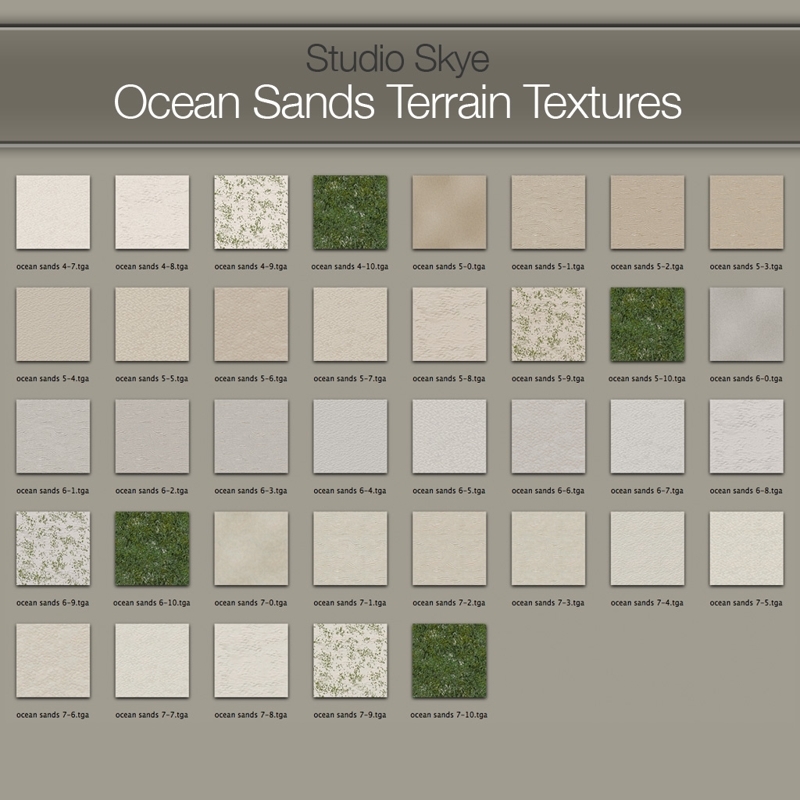 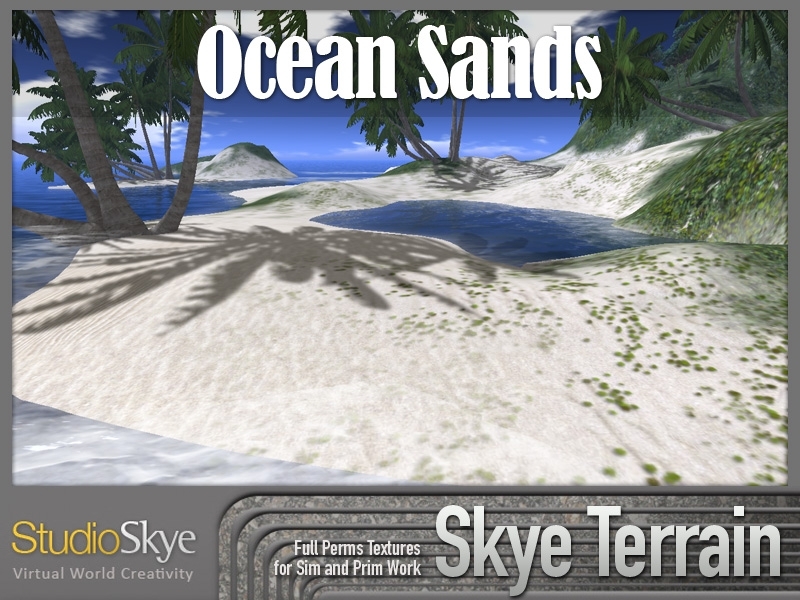 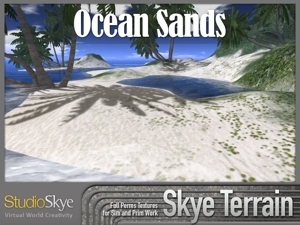 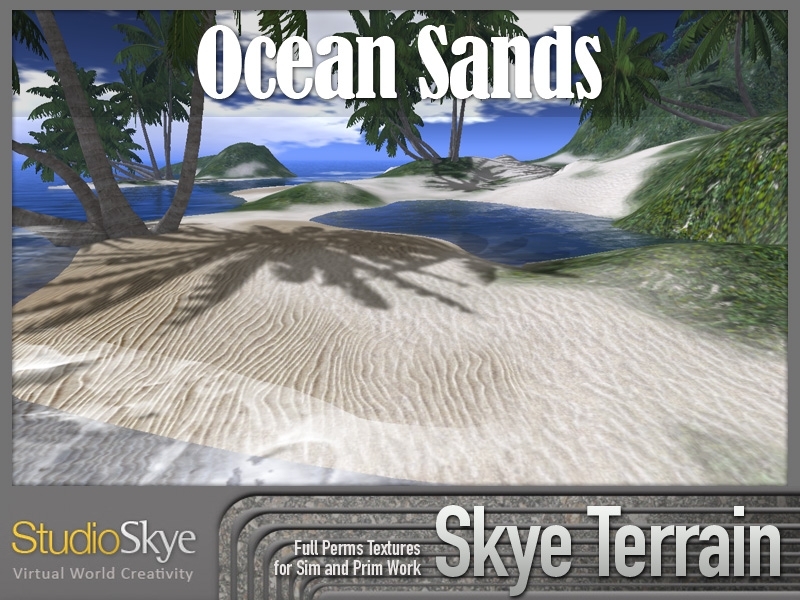 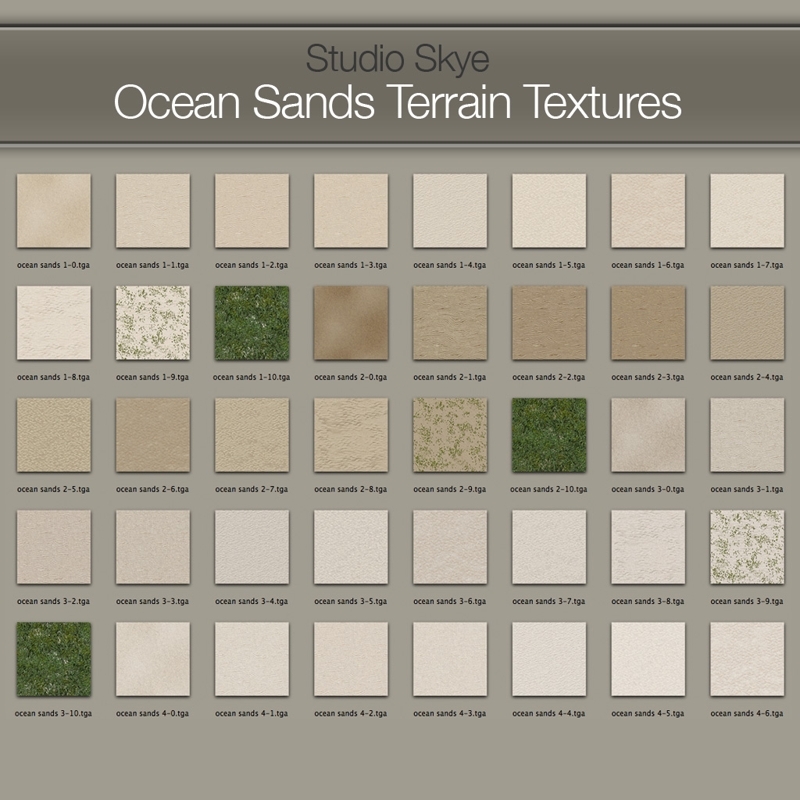 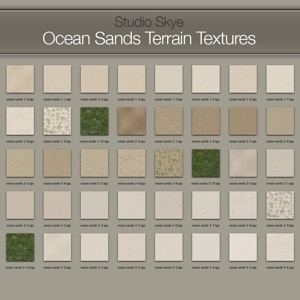 This set has been created to give you complete control over any coastal design. There is a choice of silver, yellow and white sand in fine and course texture. 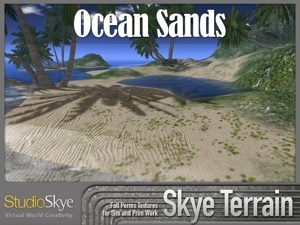 Each colour runs from wet rippled sands to dry and smooth then smoothly into beachy vegetation/ ground cover to give you a pleasingly realistic effect.